With the BJP’s huge electoral victory, some of India’s regional parties are facing an existential crisis. Not long ago Nitish Kumar was considered a mascot for development in India. Nobel Laureate Amartya Sen seriously considered the outgoing Chief Minister of Bihar as a strong prime ministerial candidate. The reason for this was the work that Kumar had done in his state since assuming office. Not many would doubt his contributions in turning the fortunes of the eastern Indian state, which was not too long ago a basket case and a zone of economic backwardness. Since 2005, the year he took charge of the state, Bihar witnessed rapid progress in all spheres of life and won worldwide recognition for this turnaround. The architect of this new narrative became not only a regional hero, but a national hero. This image persisted for as long as his party, the Janata Dal (United), or JD(U), remained in alliance with the Bharatiya Janata Party (BJP). Last September, Kumar broke away from the BJP on the issue of Narendra Modi’s nomination as prime ministerial candidate. He opposed Modi’s candidacy over the issue of the Hindu right-wing leader’s controversial past and his personality as a divisive leader. Analysts say that Kumar wanted to consolidate the Muslim vote in his state and carve out an independent political future for himself. But the results of the national elections put paid to the outgoing chief minister’s plans. Modi’s dramatic victory in the elections threatens to make Kumar irrelevant in state politics. To preempt such an eventuality, the veteran leader resigned from his post as chief minister. The BJP, along with its alliance partners, won more than 30 of the 40 seats in the state, leaving the JD(U) with just two seats, a loss of 18 seats since 2009. The party also suffered a huge loss in the by-elections for five Assembly seats in the state. Jitan Ram Manjhi will be the new Chief Minister of Bihar. Despite huge pressures from the legislature, Kumar refused to withdraw his resignation and decided to devote his time to the Assembly elections in 2015. The resignation of Bihar’s CM is one byproduct of the massive mandate that the BJP received at the national level; the national verdict has unleashed a realignment of political forces in the crucial eastern Indian state. Threatened by the spreading tentacles of the Hindu right, regional political parties, owing their allegiance to secular values, have opened a channel of communication among themselves to thwart the march of the BJP, whose success calls into question the existence of the socialist parties like the JD(U). It is this existential crisis which made the JD(U) and its political rival in Bihar, the Rashtriya Janata Dal (RJD), open to communication with each other after almost two decades. The RJD’s chief, Lalu Prasad Yadav, and Kumar have been bitter political rivals but new political realities have brought the two foes together. Modi’s landslide victory has overwhelmed the regional players in Bihar and Uttar Pradesh — the Hindi heartland — which had been the hub of India’s social justice movement in the 1980s. The small regional parties have been the voice of that movement, but the recent elections have reduced the local parties to the margins. The regional players realize that the split in votes led to the rise in the BJP’s tally. It hasn’t even been a week since the results came out and the regional parties are already feeling an existential crisis. 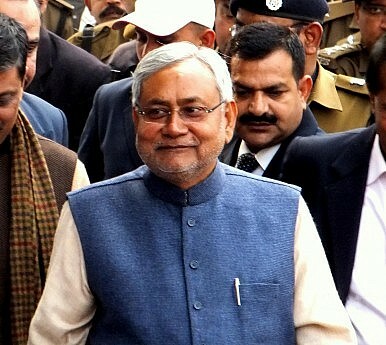 For Nitish Kumar, it is not only a question of political survival, but a matter of personalities. As long as Kumar was in alliance with the BJP, he never allowed the Gujarat strongman to enter Bihar for political campaigning, fearing a Muslim backlash. He never shared a good personal relationship with the Prime Minister designate. However, in the changed political circumstances, the architect of the new Bihar is looking for a political anchor to survive. Could 6 Socialist Parties Derail Modi’s Political Hopes? Six socialist parties have teamed up in Bihar to contest Narendra Modi’s BJP in upcoming elections.